Yes! I am ready to awaken the Goddess within and learn how to rock my Goddess life! By filling out this application I understand that I am requesting an interview with Shann to determine if the Transformation Goddess Experience is a good fit for me. Please answer each question below to the best of your ability, and without judgement. This application is designed to help you begin your personal exploration and feminine transformation. You will come away with a taste of the kind of conversation we will be engaging in, if you choose to work with me. Even if you aren’t ready to step forward and make a commitment to this delightful experience, you will find the questions to be supportive and introspective. Click on the submit button to claim your complimentary interview with Shann. I promise to get in touch with you within 48 hours of receiving your application to set up your interview and confirm your participation. There is no cost to you until we both agree that the Transformation Goddess Experience is a good match for you. If you’ve already experienced a Discovery Session and made the choice to continue our partnership, I will be in touch to schedule your virtual retreat and answer any questions you may have as soon as I receive your application. 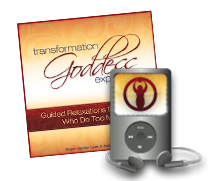 This application does not obligate you in any way to participate in the Transformation Goddess Experience. This application communicates your interest in being part of this transformational offering. You will be provided with enrollment details and program options during your personal interview with me. This program is for women who want to transform their precious lives in 90 days & you want in! You have access to a phone, and a computer with high-speed access. Transformation Goddess Experience – 3 month Mentoring Partnership.